Imagine this: you are leaving the country in one day and you suddenly realize that the bathroom faucet is leaking heavily. You would like to get it fixed instead of leaving home and worrying about flooding the apartment building during your entire trip. You call your plumber, but he says he is too busy to get to your place today and can only make it there in a couple of days. You mention your trip but claim you will be away for a longer period of time, to impress the man and get him to come right over. Did you use persuasion or manipulation? Persuasion is the action undertaken by people looking to change the opinion of others. It is usually done with a good intent and by having the interest of the others in mind. Persuasion implies making someone change their opinion by taking in and assimilating the arguments you are giving. By building your arguments efficiently, you can easily guide that person to adopt your point of view. The concept of persuasion has existed since ancient times, when the Greeks used to have debates in the public squares. The argument was won by the most logical presentation. Transparency is key when it comes to persuasion. People understand why others may feel the need to convince them of something. Parents will try to persuade their children to avoid getting into strangers’ cars, friends will try to persuade a person to quit smoking, or a person may persuade a spouse not to take a bad job offer. The stepping stone of all persuasion arguments is the origin of the arguments in the good intents of the other person. Manipulation implies bending the truth in order to get someone to do something opposite to their initial intention. This is an action intended to get the other person to do something beneficial to only one of the parties involved – usually the one manipulating. Advertisers manipulate people into thinking they need a product and that they need to stay hip and popular at any age. Everything goes when it comes to manipulation, and having any form of leverage is a good tool. Children often manipulate their parents. Even from an early age they can connect their parents’ attention to their attitude, and they can fake distress in order to get attention or rewards of any type. However, emotional manipulation is used on all levels in life, not only in childhood. Manipulation also feels forced. There is a certain level of coercion involved when it comes to it. When the initial logical arguments fail, the discussion may become personal. 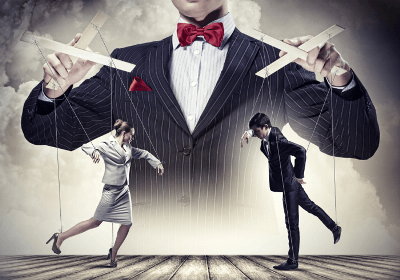 The person being manipulated is cornered into a place where they feel like there is no other way but to take the option presented by the manipulator. The main difference between persuasion and manipulation lies with the intent behind the attempt to convince the other person. Persuasion is mainly done with the intention to do good things – to recommend the best service and product, to make the best match, to get a person to stop doing something harmful. Manipulation, on the other hand, is aimed at benefiting only one of the involved parties. Persuasion is about presenting all of the right arguments in the most logical and convincing way. Manipulation also implies bending the truth in order to meet the final goal. Although persuasion also implies talking a person into doing something they did not initially want to do, it is the transparency and the good intent behind it that make it socially acceptable. A person can convince a constructor who wanted to push a project aside to start it sooner because they need to move into the house by a certain date. The arguments presented are real and the intention is transparent. Manipulating the constructor would mean saying that the wife is pregnant and about to give birth at any moment, even though there is no wife involved. This is why there is also a social stigma on manipulation. This is generally due to the fact that people feel like they have been lied to and forced into accepting something. Another great difference between the two lies in the fact that the person who has been persuaded to adopt a different opinion is convinced that this is the best way to go. They have been given all of the arguments and are equipped with what they need to make a case in favor of their new option any time. When manipulation is involved, there is instant regret after having agreed. This is because no real arguments have been used, there is no proof of good intent, and the manipulator benefits from everything more.